Should I Retain An Attorney or Use a Court Appointed Attorney? It is also important to know that just because an attorney is court appointed does not mean that attorney’s services are free. Most court’s use a sliding scale to determine the amount to be repaid for the attorney’s services. Also, attorneys are appointed in different ways in different jurisdictions. For instance, Washtenaw County has a public defender office and Oakland County has a list of attorneys that rotates and in the more serious offenses each judge can appoint attorneys of their choosing (many of whom may be chosen because they tend to get their clients to plead quickly and avoid trial). they work for the prosecutors. they are overworked and push all cases to pleas to get rid of them. they would get better deals of the defendant paid extra or retained them privately. they are terrible lawyers who could not get a job at a “real” law firm. These perceptions are the exception rather than the rule. Public defenders come at all levels of experience – from right out of law school to highly experienced. Although many court appointed lawyers are conscientious, many of them are also more interested in keeping on the court appointed list than really fighting for the client. A defendant that gets assigned a public defender gets the luck of the draw. partners and associates to employ a team approach to representation. The lawyers at Lewis & Dickstein, P.L.L.C. 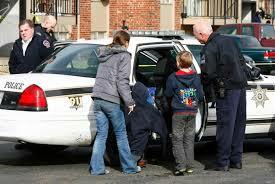 are some of the most well respected and experienced criminal defense lawyers in Michigan. We have handled only criminal cases for decades. Lewis & Dickstein, P.L.L.C. is proud of its reputation for success and respect. 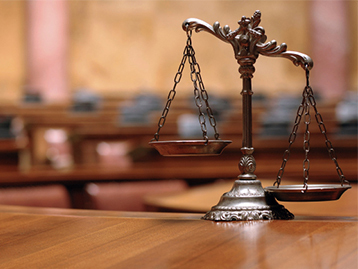 Our attorneys take pride in protecting the rights of the accused. We put in the time and use our expertise to give our clients the best defense available. Lewis & Dickstein, P.L.L.C. are cutting edge, creative and forward thinkers. We are the ONLY firm to call when you are facing legal trouble. Please call Lewis & Dickstein, P.L.L.C. at (248) 263-6800 we are the criminal defense lawyers in Michigan you can count on.